Wow – looks like a wraparound cover. 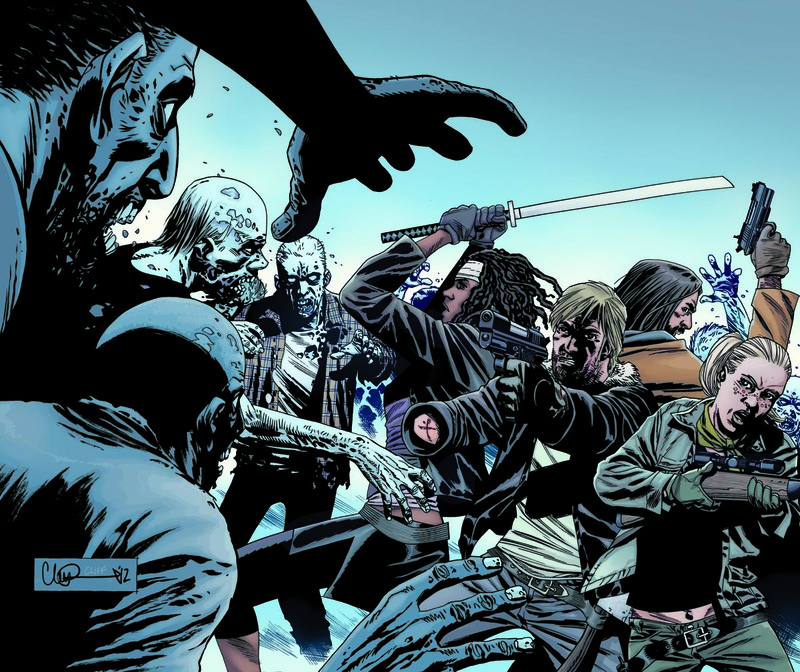 Very, very cool art here from Charlie Adlard – one of the best covers yet!! Image courtesy of http://www.roamersandlurkers.com/topic/5670-issue-106-cover/ (though I am not sure where they found it).